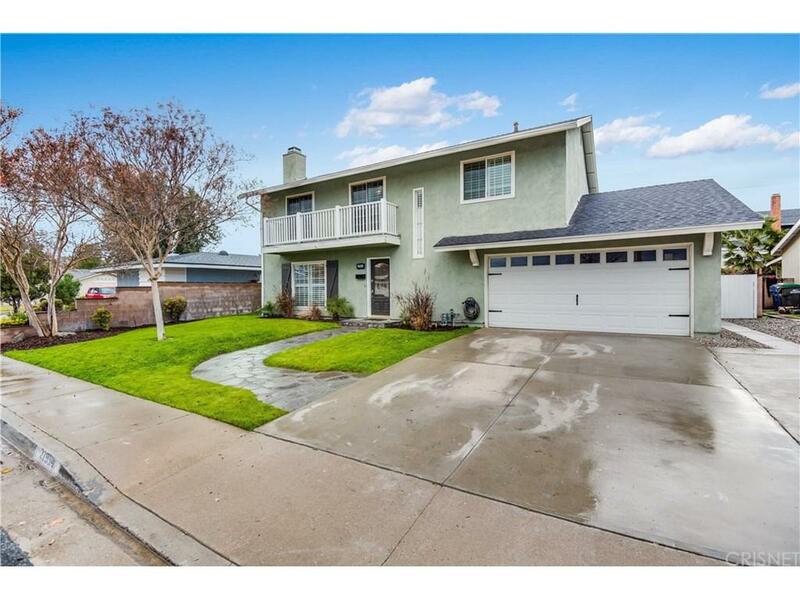 Gorgeous upgraded 5 bedroom home with Newer windows, Newer laminate flooring. Upgraded kitchen with white cabinets, stainless steel appliances and double oven, pantry and walnut kitchen countertops! Huge Bonus Room off kitchen with much opportunity for a game room, movie theater or in law suite. All 5 bedrooms are upstairs and all bathrooms have been upgraded. Shutters throughout home, recessed lighting, fans including a whole house fan. Outdoors includes a pool size yard with stamped concrete and grass. There is even a horseshoe pit and a brand new shed. The two car garage is quite large with ample storage. Concrete pad to side of home for your Recreational toys!! !This home is close to schools and public transportation. This is a must see home that is turn key and shows pride in ownership!